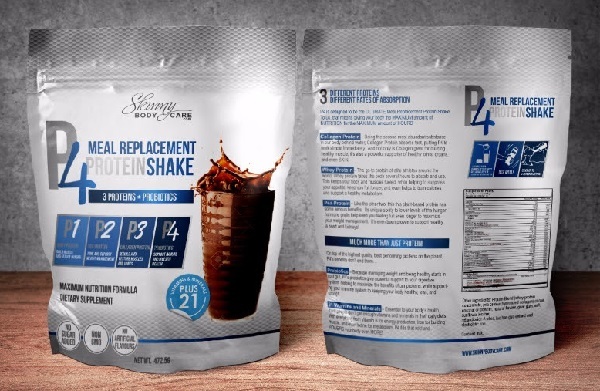 P4 Protein Shake is the latest addition to our weight management product line. It is a highly nutritious meal replacement drink that is so tasty you won't mind drinking it daily. It is for customers that are PICKY about the quality of your protein! - Includes probiotics, 21 Vitamins and Minerals. When you research what you should look for in a protein powder, P4 is it!!! Being the second most abundant substance in our body behind water, Collagen Protein absorbs fast putting P4 to work almost immediately. And not only is Collagen great for building healthy muscle, it's also a powerful supporter of healthy joints, organs and even skin. The go-to protein of elite athletes around the world. Whey Protein takes the body several hours to absorb and use. This keeps your body and muscles fueled while helping to suppress your appetite, keep you full longer and even helps to burn calories and support a healthy metabolism. Like the other two, this plant-based protein has some serious benefits. its unique ability to lower levels of hunger hormone ghrelin help keep you feeling full even longer to maximize your weight management. It's even been proven to support healthy heart and kidneys!! But wait!!! it's much more than just a Protein!! On top of the highest quality, best performing protein on the planet, P4 Protein Drink benefits don't end there! Because managing weight and being healthy starts in your gut, P4 probiotics give powerful support to your digestive system, helping to maximize the benefits of our proteins while supporting your immune system to keeping your body healthy, lean and strong. Essential to your body's health, most people don't get enough vitamins and minerals in their daily diets. With everything from Vitamin B for energy productions, iron for building muscle, and even Iodine for metabolism, P4 protein drink fills that void and POWERS your body and even more!!! This delicious chocolate protein shake keeps you feeling full until different times of the day. (Feel free to message to ask more about this!) It is a meal replacement drink that lasts hours. * Percent values are based on 2,000 calorie diet. † Daily value not established. Protein Blend (whey protein concentrate, pea protein, hydrolyzed collagen), cocoa, coconut oil powder, natural flavors, guar gum, salt, sunflower lecithin, rebaudioside A, silica, luo han guo extract and electrolytic iron. Single Serving = 120 Calories. (Add one scoop of P4 Protein Shake to 8 ounces of cold water; stir, shake or blend. Enjoy up to 4 servings per day. Add A Bag Of P4 Protein To Your Skinny Fiber or Skinny Body Max Order! make sure you have 3 months of your pills, and then you can get your P4 Protein and / or HiBurn8 free! Learn more by visiting our Mix & Match website.